Happy holidays! As we wind down from Christmas, Hannukah, and all other celebrations this holiday week, Signor Goat is here to provide an update on this week’s health care news. 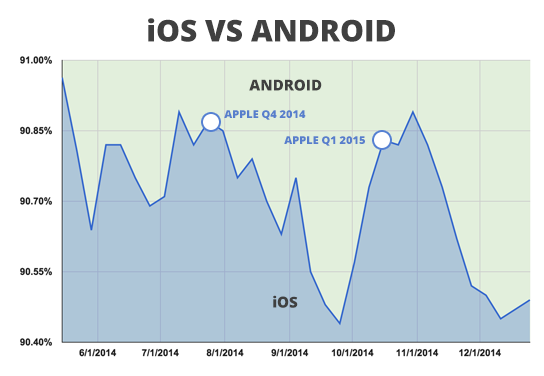 Apple remains on the upswing, gaining back additional market share from Android this week. Looks like Santa has been busy delivering Apple devices to pMD’s physician users!